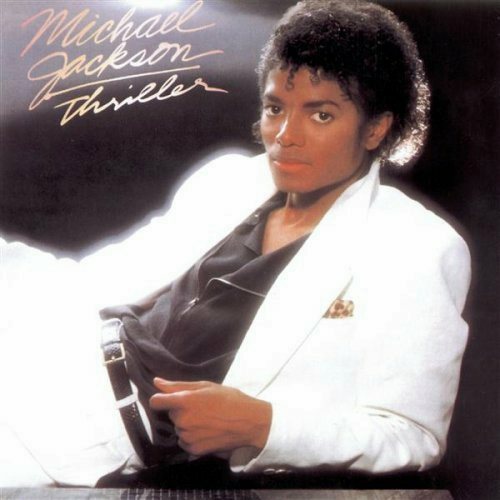 If asked for my favorite Michael Jackson song, I’m hard-pressed to choose amongst many, many gems, but I keep coming back to “Human Nature,” a track from his sixth album, Thriller (1982), which is often heralded as one of the greatest albums of all time. Jackson didn’t actually write the song himself; it was originally written by Steve Porcaro, keyboardist and founding member of the rock group Toto. Porcaro’s demo ended up in the hands of Quincy Jones, who listened to a cassette full of demos from Toto, didn’t care for most of them, but then found Porcaro’s rough demo at the end of the cassette and reportedly said, “All of a sudden, at the end, there was all this silence, there was: ‘why, why, dah dah da-dum dah dah, why, why’. Just a dummy lyric and a very skeletal thing—I get goosebumps talking about it. I said, ‘This is where we wanna go, because it’s got such a wonderful flavor. '” He wasn’t, however, 100% sold on the lyrics, and he brought in veteran writer John Bettis to rewrite some of the lyrics. “Human Nature” is a beautiful dark haunting ballad, and I’d like to zero in what gives it such a magnetic attraction. Production-wise, it’s a beautifully restrained tapestry of synth, guitar, and vocal textures, but underpinning it is a see-saw harmonic progression that moves between the IV and V chord. That see-saw forms the central balance in both the verse and chorus. As in our last songblog (“In Your Eyes” by Peter Gabriel), the I chord is rarely heard, and that contributes to the suspense. Listening for the instrumental elements for a moment, the drums (played by Jeff Porcaro) are almost loop-like, with very little variation. There’s little percussion flourishes (played by Paulinho Da Costa) that subtly add accents to the main drum part. The drums and percussion become almost a drone, upon which the rest of the production can pivot. There are barely any fills. The bulk of the textures of this song come from the layers of keyboards (played by David Paich, Steve Porcaro, Michael Boddicker) and guitars (Steve Lukather). There’s a lot of subtleties in the choice of keyboard and guitar parts that keep it moving around the lead vocal to complement it, yet never get in its way. The arrangement credit for this song reads David Paich, Steve Porcaro, and Steve Lukather, who are three of the central members of the Toto. Each are masters at their craft, yet this song sounds nothing like a Toto song. Michael’s vocals are definitely key, but the haunting R&B aura is set up by the instrumental background before the vocals ever begin. Most of the melody and the chord changes are there, as is the chorus hook. Even some production elements are there, like some scratch layered melodic ideas, and the 16th note hi-hat groove that propels the momentum for the entire song. For some additional thoughts on this song, author and producer Bobby Owsinski recently published his own analysis of this same song from more of a production perspective. There’s also a whole wiki page devoted to this song.